The Band of the Grey Shield is committed to strengthening the storyline of the Lands of Mythron by tying together individual storylines. 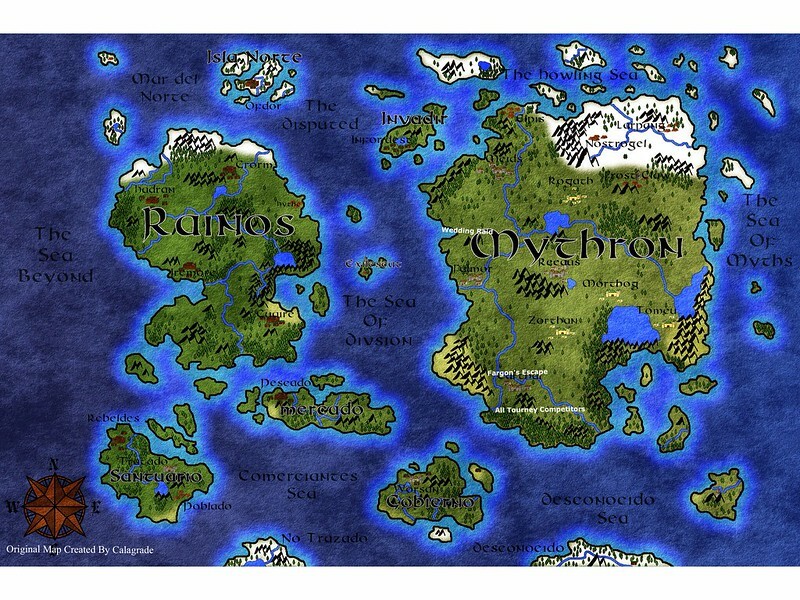 This guild may not be part of the Tourney (at least in 2014), but it is the place to be for anyone seeking a richer fictional world or collaborations with other players. Eventually, the guild will have a database of dozens or hundreds of data from across the lands, but, for now, each member may choose ten elements from his or her storyline to share with the guild. This will be broken into the categories of Non-Player Characters, Player Side Characters, Locations, Events and Artifacts/Information. Members can post data from any category they wish, and may post a new datum each time one of their posted data is used by in a MOC by another member. In addition, each member is encouraged to post updates of her or his main character's location and destinations to allow for crossovers between members. As stated in the Guild rules, no faction can have more members in a guild than the faction of the host. In this case, that means that there must be at least as many Rainosians as Enalicans, Outlaws, Mythronians or Nerogues in the guild. Also, LOM players may only join one guild founded by someone not of their faction; for example, an Enalican could not join both the Crimson Knights and the Band of the Grey Shield. The BGS has no other membership qualifications. 1. Do guild members have to get along with each other? A. No; they could be sworn enemies if the wanted to; the idea is to strengthen the story, not relations between factions. 2. Will the guild compete in the Tourney? A. That depends on whether or not Gilbert Despathens will be a judge in the 2015 Tourney and whether or not he will even be around in 2015. 3. Why are there only two guild statuses? A. More will be added as the existing levels are reached.